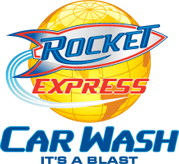 Increase awareness become a e-news sponsor. Sponsoring the e-news is is a low-cost way to increase visibility of your company. The weekly newsletters are seen by 300 recipients. Help us serve you better.. The Chamber would your feedback to help us serve you. Please answer a short six (6) question survey about your chamber experience. 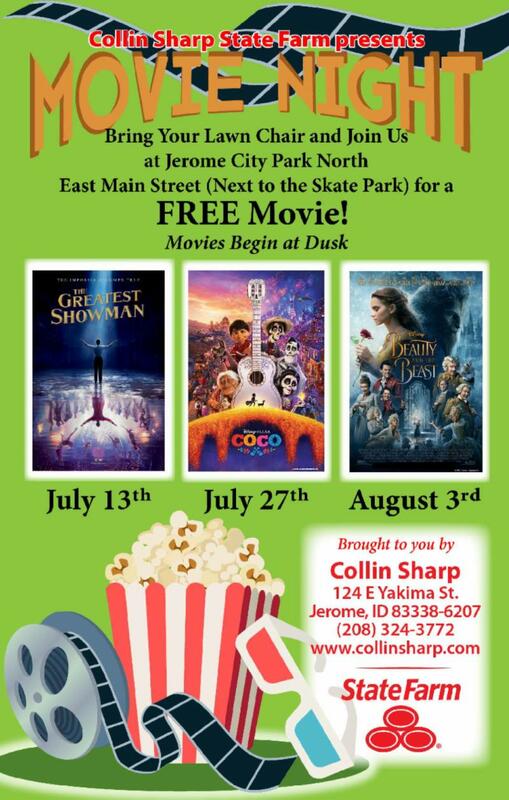 I want to thank the community for the warm welcome to Jerome. As I have been out meeting people in the community I have meet some who asked, “What is the Chamber of Commerce?” First let me say that if you don’t know you are not alone. When I started working for a Chamber I too did not know what a Chamber was or did. Dating back to 1773 Chamber of Commerce was established to protect the interests of businesses after the Boston Team Party tragedy. 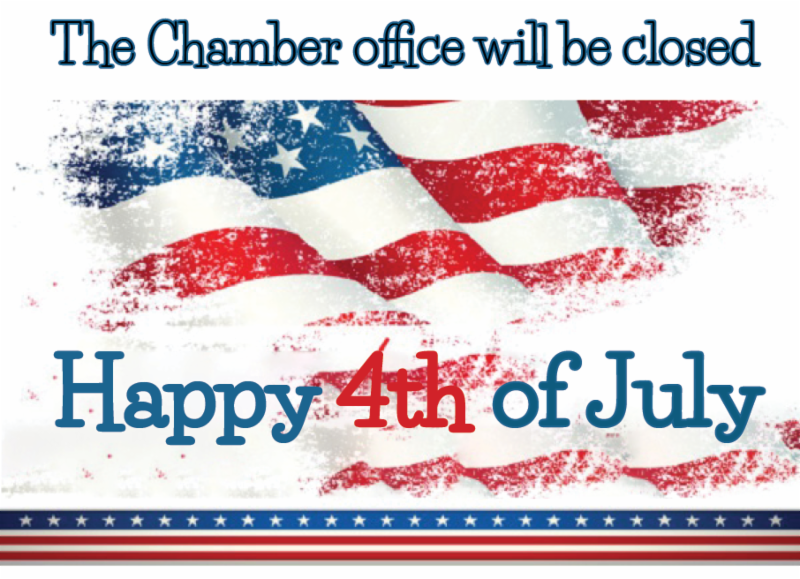 The Chamber is a non-governmental institution, it does not write or pass laws and regulations, however they do advocate and lobby in attempt to get laws passed that are favorable to businesses. The Chamber promotes communities and strive to ensure the future prosperity via a pro-business climate; representing the unified voice of the employee community. 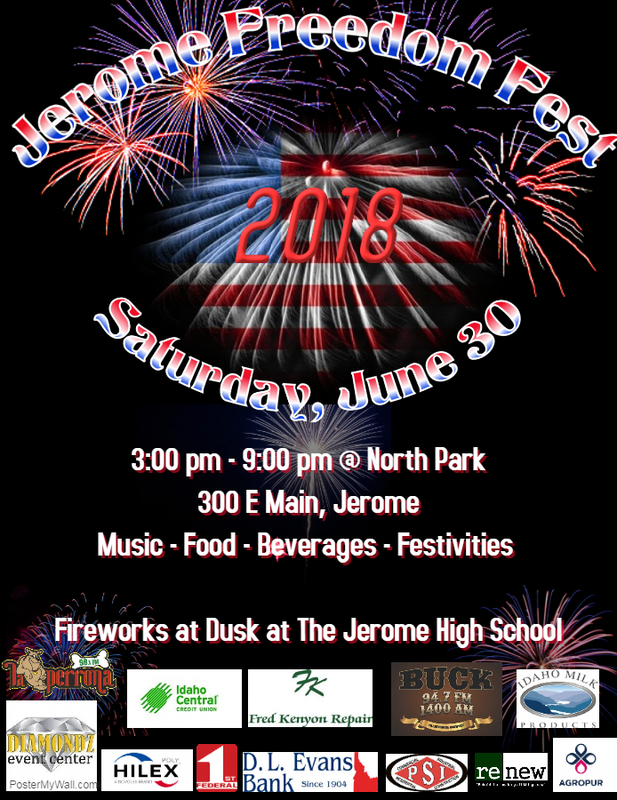 The Jerome Chamber of Commerce works to bring the business community together to develop strong local networks which can result in a business-to-business exchanges. 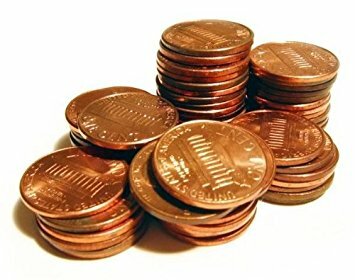 There is no way to put a dollar value on network or relationship building opportunities generated by attending Chamber events and getting involved. 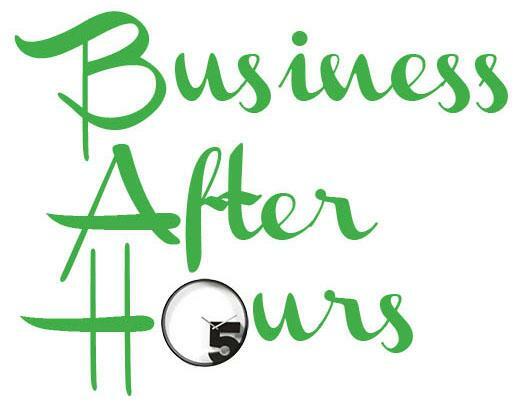 Don’t forget as a chamber member all employees are welcome to attend any chamber event. And membership dues are a tax write off. Some of the benefits of Membership include the Members directory which is an in-valuable resource. Statistics prove that 63% of consumers and businesses will reach out to you before trying a non-member business. Members can also offer discounts or special deals for other chamber members. Members can advertise in our newsletter and we offer many sponsorship opportunities. 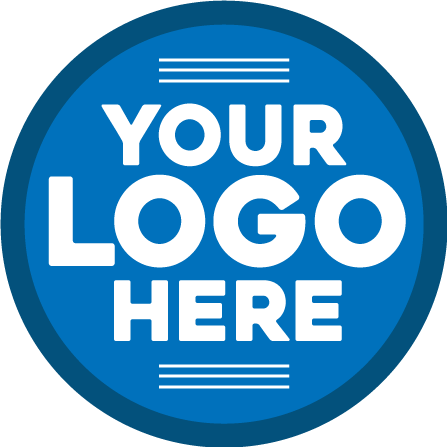 We encourage businesses to utilize the low-cost advertising/marketing options available to help build your business and generate public awareness in the community. 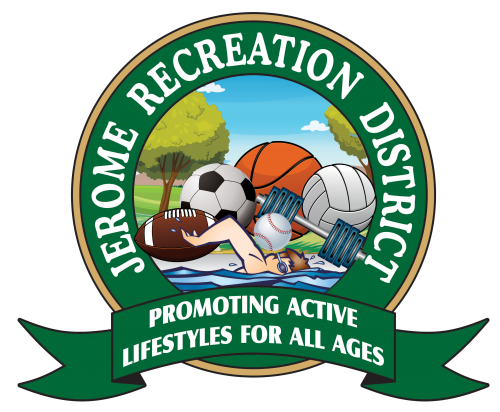 We are here to grow and sustain the community of Jerome together. 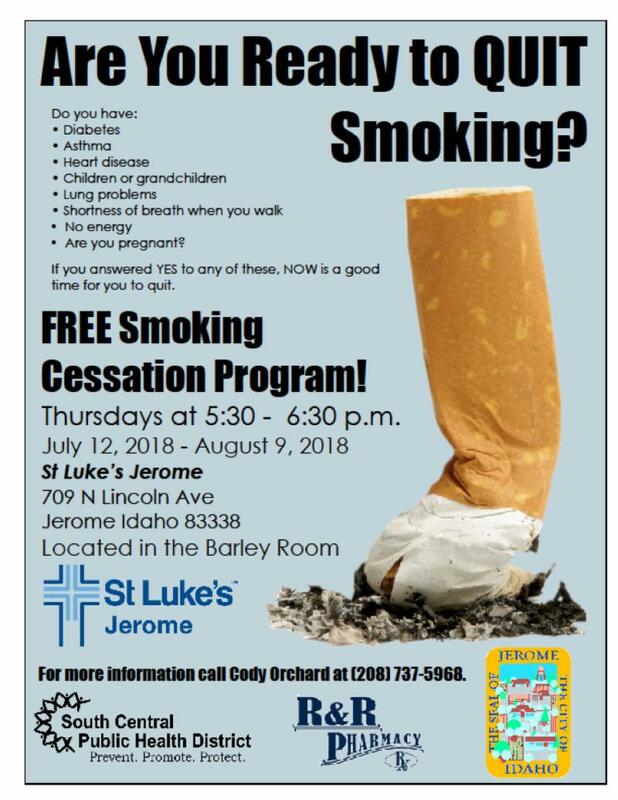 It just makes good business sense to be a member of the Jerome Chamber. 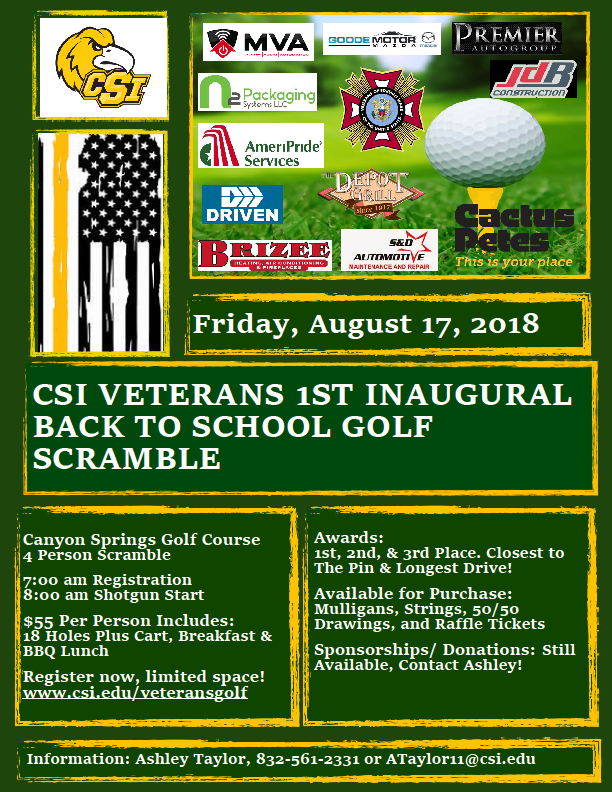 For more information please contact the Chamber. We want to wish our newest member a warm welcome to the Jerome Chamber. Soran Restaurants (DBA) Depot Grill; Turf Club & Sorans Catering. 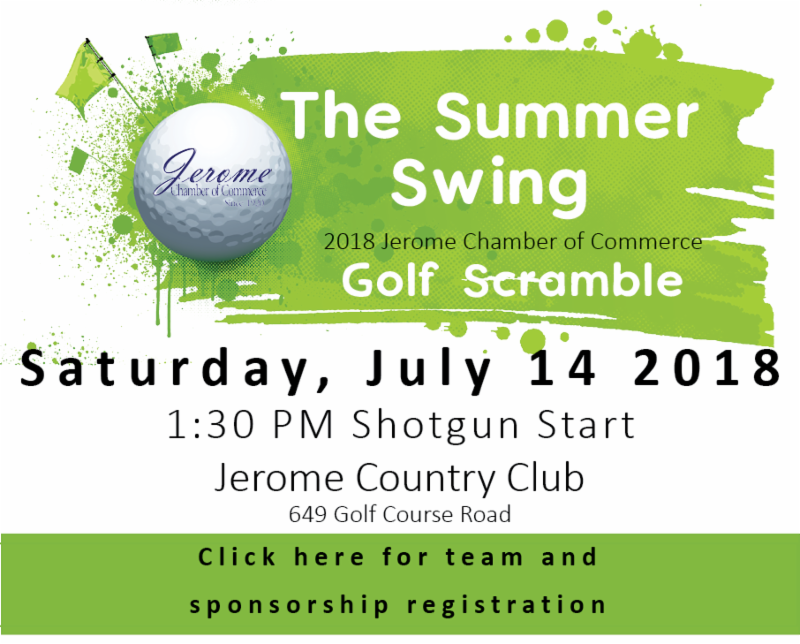 Steve & Don are excited to be a part of the Jerome Chamber. If your company has an event or company meeting give them a call. Their menu is extensive and the cater to the Jerome Area. Don't Delay! 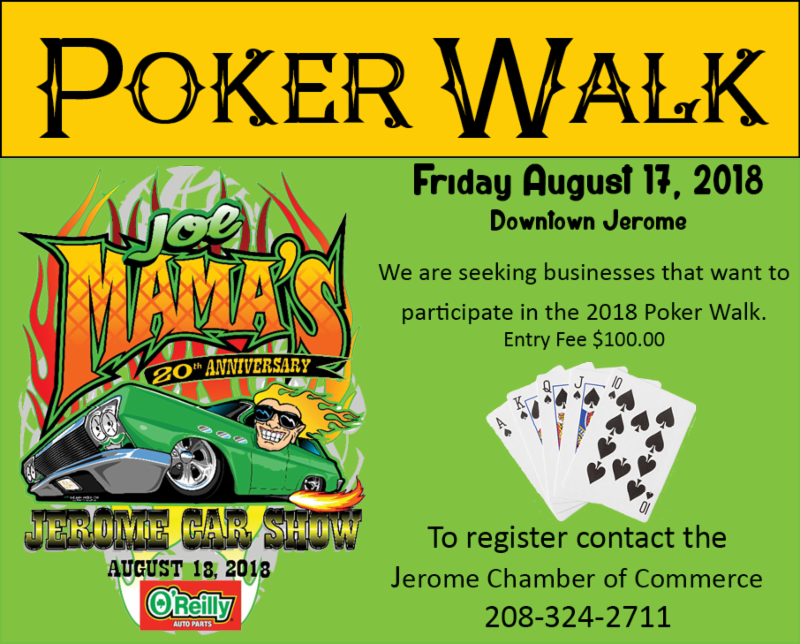 Sign up your business to participate in this year's Poker walk. Participation in this community event puts your business in-front of hundreds of people for the night. 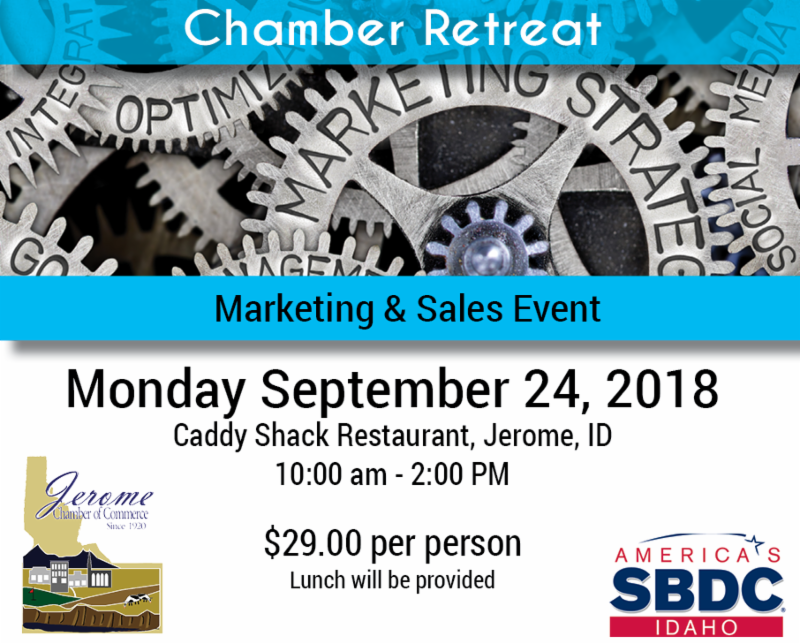 We have partnered with the SBDC to bring you a professional development opportunity to help businesses in the Magic Valley. 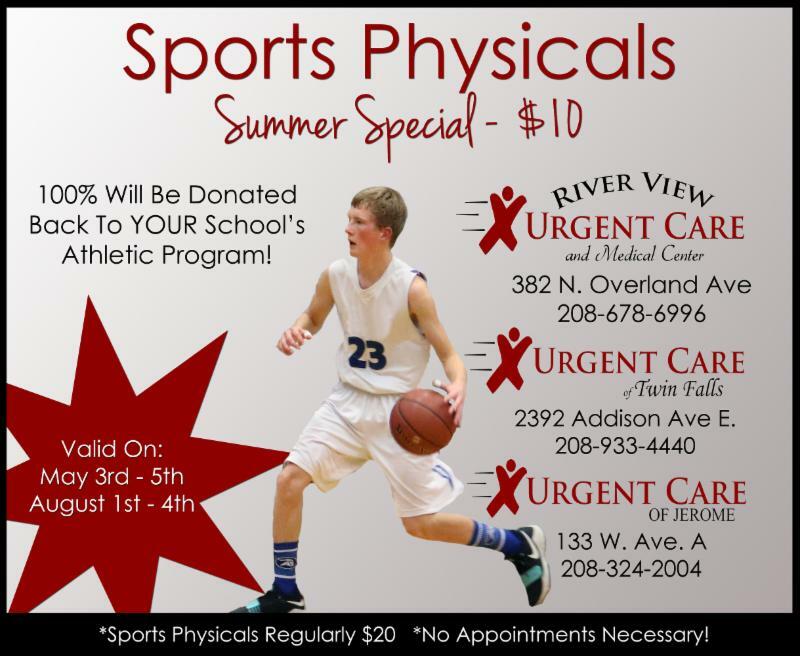 contact Cristina with Lee Family Broadcasting, at 208-280-3465. Thank you to our sponsors Idaho Central Credit Union , Fred and Jana Kenyon , Idaho Milk Products , First Federal ,D.L. Evans Bank, Hilex Poly , Agropur . We also want to thank Diamondz Event Center for coordinating an amazing line-up of music for the day! 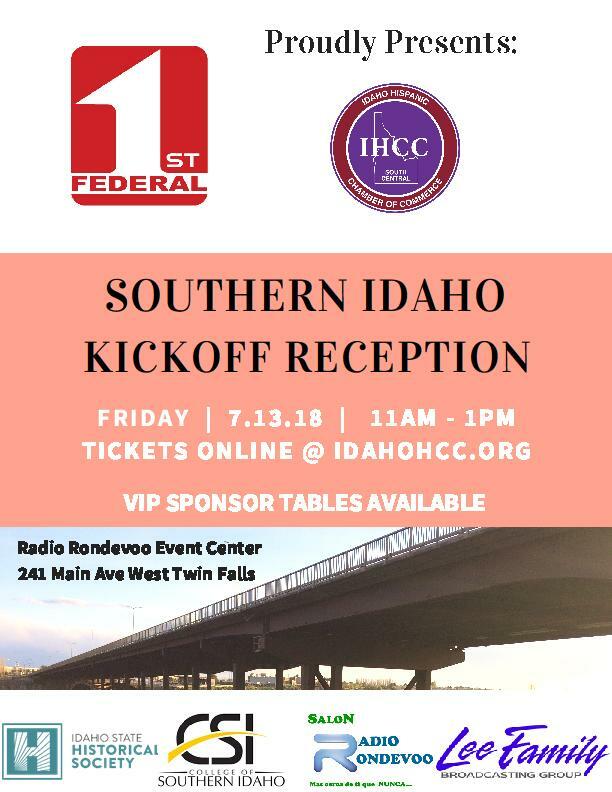 You are invited to attend the Idaho Hispanic Chamber of Commerce Southern Idaho Chapter Kickoff Reception. 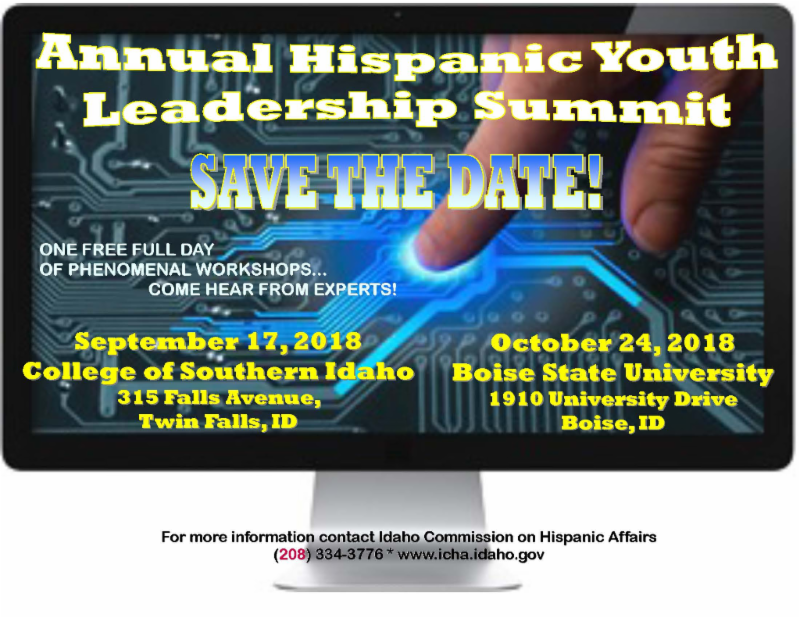 Come join us and learn about the Idaho Hispanic Chamber of Commerce. OSHA 30 - General Industry (4 Days): This course is designed to help attendees with workplace safety and general health and Safety regulations. No prerequisites required. 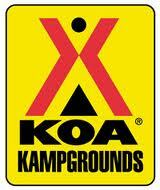 Upon completion students will receive OSHA 30 General Industry Certificates and Wallet Card. Forklift Training (1 Day): During this course, students will receive both classroom and practical hands-on instruction that involves the application of principles and operation of forklifts. Aerial/Scissor Lift Training (1 Day): During this course, students will receive both classroom and practical hands-on instruction that involves the application of principles and operation of both scissor lifts and aerial-boom lifts. Intro to Welding-Burley (10 Days): This course is designed to educate attendees to basic concepts of Stick (SMAW) & MIG/Wire Feed (GMAW) welding. This course will begin with an intro of thermal cutting, shop safety, and welding shop tools. Both classroom and lab instruction is included in each session. Fall Protection - Competent Person (1 Day): This course is designed to help attendees with hands on training to identify proper OSHA regulations and procedures to fall protection. Flagging and Basic Traffic Control (1 Day): This course is designed to educate attendees to operate and direct traffic in highway construction in a safe manner. 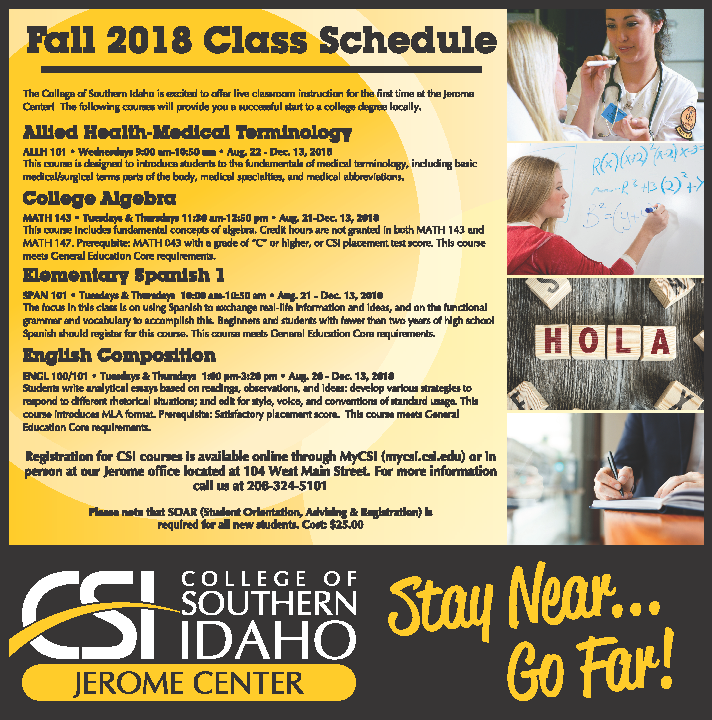 Course will meet Idaho State Department of Transportation requirements. HACCP Training (2 Days): This course is designed to educate to the hazard analysis and critical control points system approach to controlling hazards in food production and is a preventive system assuring the safe production of food products. SQF Training (2 Days): This course is designed to prepare attendees for the SQF Practitioner exam. You must have attended an approved HACCP course prior to attending. Discounted price of $450 if attending both HACCP & SQF Training!! 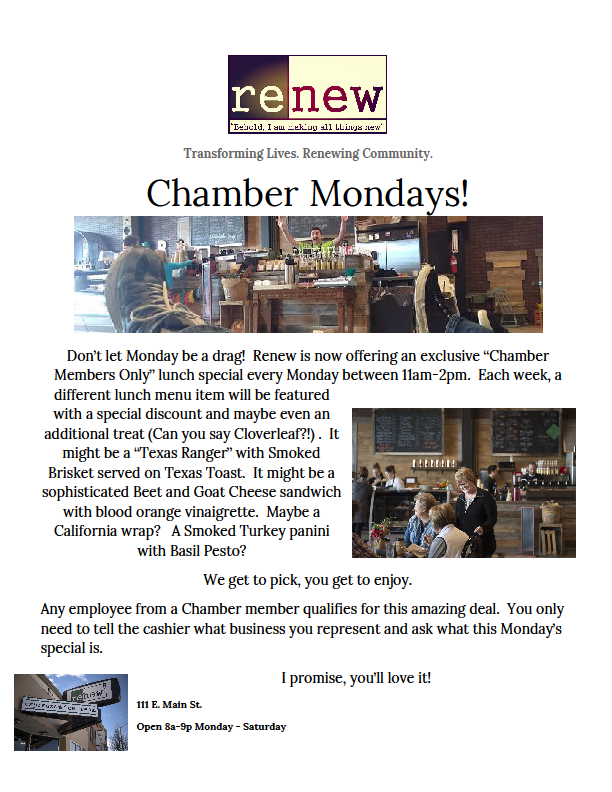 Renew is offering a lunch special every Monday from 11:00 AM - 2:00 PM. Any employee from a Chamber Member qualifies for this amazing deal. Tell the cashier what business you represent and ask what the Monday special is. 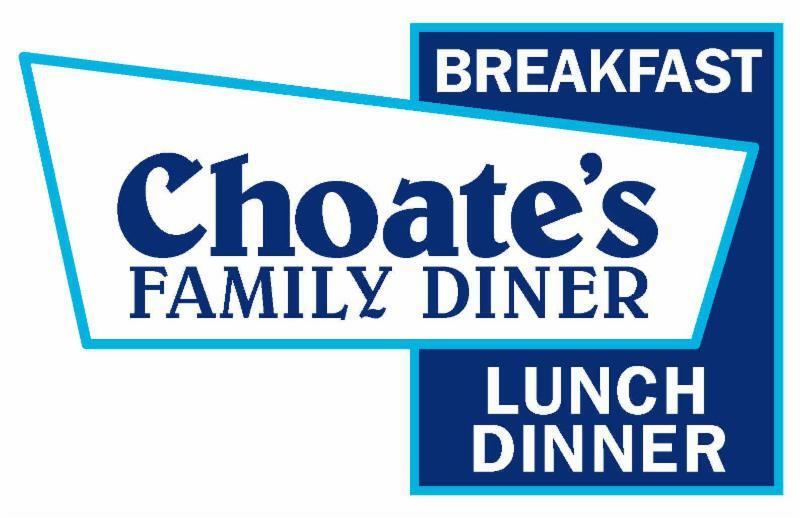 For the month of June Choate's has a deal on Ron's Super Sandwich Combo's! Super Steak, Super Grilled Chicken and Super Burger! Stop in and enjoy today! Are you seeking talented individuals to join your team?